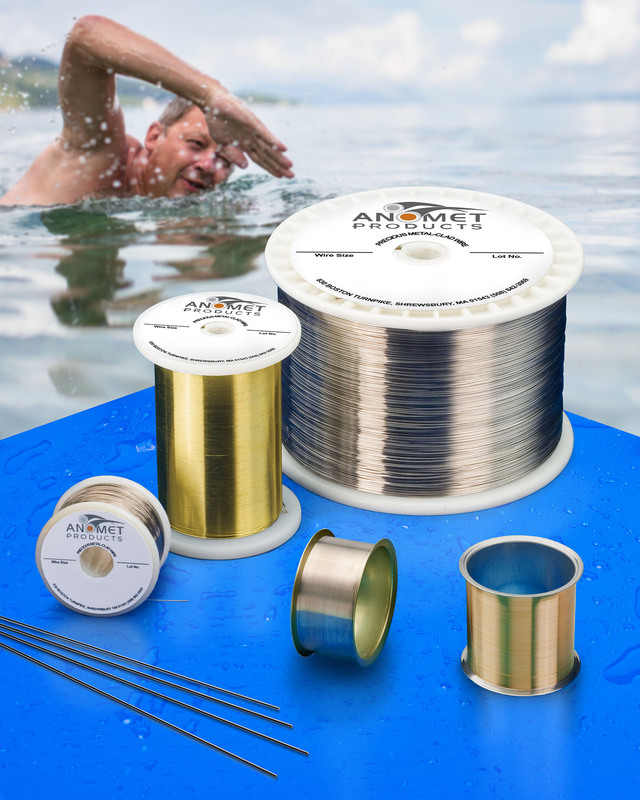 Custom manufactured clad-metal wire designed for specific performance characteristics such as corrosion resistance, biocompatibility and more have been introduced by Anomet Products of Shrewsbury, Massachusetts. Anomet Clad Metal Wire can combine up to three materials to create a high integrity and formable clad composite wire that can achieve properties not available in a single alloy. Featuring 2% or more cladding thickness, the custom designed clad wire can be made in sizes from 0.002” to 0.125” O.D. to meet design criteria for corrosion resistance, wear resistance, contact resistance, biocompatibility, radiopacity, high conductivity, and more. Featuring a gold, silver, palladium or platinum exterior layer, the core and second layer of Anomet Clad Metal Wire can include copper, stainless steel, Kovar®, niobium, Nitinol®, nickel-iron, molybdenum, tantalum, and titanium. Suitable for a wide range of medical and industrial applications, each layer of this composite wire is metallurgically bonded together and will not break, flake, or blister when bent, twisted or coiled. Anomet Clad Metal Wire is priced according to configuration and quantity. Samples and price quotations are available upon request.